Interspeech is the world’s largest and most comprehensive conference on the science and technology of spoken language processing. Coming Wednesday the results and systems of 2nd Spoken CALL Shared Task (ST2) are presented and discussed in a special session of the conference. Chances are that these discussions will lead to a third edition of the shared task. The Spoken CALL Shared Task aims to create an automated prompt-response system for German-speaking children to learn English. The exercise for a student is to translate a request or sentence into English using voice. The automated system should ideally accept a correct response or reject a student response if faulty and offer relevant support or feedback. There are a number of prompts (given as text in German, preceded by a short animated clip in English), namely to make a statement or ask a question regarding a particular item. A baseline system (def) is provided by the website of the project. The ﬁnal output of the system should be a judgment call as to the correctness of the utterance. A wide range of answers is to be allowed in response, adding to the difﬁculty of giving automated feedback. Incorrect responses are due to incorrect vocabulary usage, incorrect grammar, or bad pronunciation and quality of the recording. For the 2nd edition, there was a corpus (=training data) containing 12,916 data points (in our case speech-utterances), that we can use to create a system. A machine learning algorithm needs training data to extract features from it. These features can be used for classification and the more varying data you have, the better the classification will be. But you can’t use all that data for training. You have to keep a part of your data points aside so you can validate that your system can classify data it has never seen before. This is called validation set and the other part is called training set. A rookie mistake (which we made) is to use the test set as validation set. The test set is a separate corpus, which you should use at the very end of development only to compare your system with others. For a more detailed explanation take a look at this blog post. If you don’t have a separate validation set (like in our case) you can use cross-validation instead, which is explained here. Furthermore, you should try to have an equal distribution between correct and incorrect utterances in your sets. If this is not the case, e.g. if you have 75% correct utterances and 25% incorrect utterances in your training set, your system will tend to accept everything during validation. 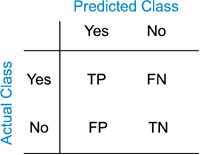 Based on the confusion matrix there are four often used metrics: Accuracy, Precision, Recall and F1. When to use which is explained thoroughly here. For the shared task, there’s a special metric called D-score. It is used to evaluate the system’s performance respecting a bias to penalize different classification mistakes differently. More details about D-score can be found in our tutorial paper. If you open the data download page you can see an important differentiation: On the one hand you can download the speech processing system (also asr system or Kaldi system) and on the other hand you can download the text processing system. Basically, you have to independent baseline systems you can work on. To create your own system you first have to decide whether you want to start with text- or speech processing. If you are a complete beginner in the field, I would advise you to start which text processing because it is easier. If you want to start with speech processing take a look at Kaldi for dummies, which will teach you the basics. The asr output can be used as text processing input. The text processing system produces a classification (language: correct/incorrect, meaning: correct/incorrect) from the given sentence as output.